We Can't Wait for Him to "Work Something Out" - Luke Lawal Jr.
My prayers go out to those that are being affected by President Trump’s ban in America. My father and mother were immigrants from West Africa who became citizens and still are today. I understand how heavy this weighs on many people in the country. Immigrants are the foundation of America who traveled to this country to find a place of hope and peace to their life. Many come for the opportunities, but others come to have a better life. The United States is founded by immigrants who believed in creating a land of freedom, which they became proud to call their home. We need to understand the impact this has on other immigrants in this country and all over the world. 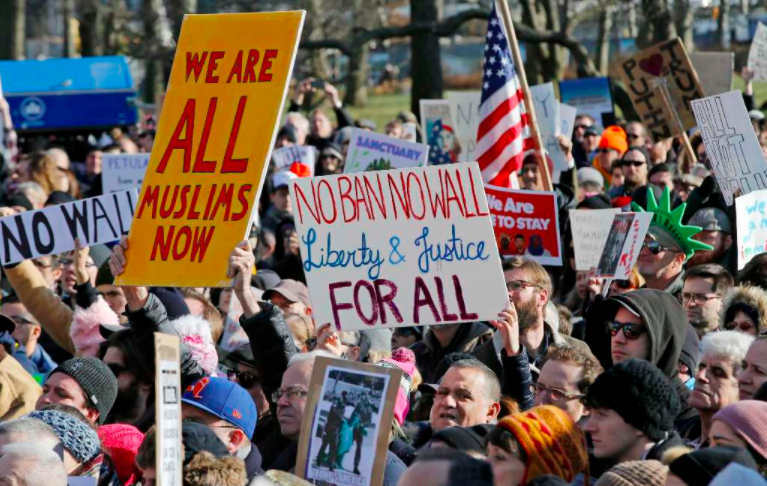 As an American, the concerns I have that surround this Muslim ban are the implications of the executive orders President Trump signed to keep our country “safe.” I understand the concerns for safety, but what the real focus should be is to keep restrictions on the people group that do pose a threat. The solution of expanding law enforcement to people groups that pose no threat to our country will cause Americans to encounter more safety issues than ever before. The refugees and those who need help should be welcomed to America with open arms because it is where we started and what we should stand up for. If this were to occur years or decades ago my family nor I would be here. Many influential people in this country would not be here. It is our place to take action on this ban and have a voice. – who are immigrants that arrived in America at a young age because of their parents. The 750,000 people who can be deemed Dreamers will benefit from the Deferred Action for Childhood Arrivals (DACA) program. No one is 100% sure how supportive President Trump is of the DACA program, but the DREAMers out there need to rise and be advocates for the immigrants because they have the influence to impact this ban. As Americans, it is our duty to go and be advocates for the immigrants and refugees because our family members or ancestors were once immigrants who came to America to have great opportunities that were not assessable in their country. What can you do to change this? Reaching out to your designated senators and representatives is one way that will fuel change and make an impact to refuting this ban. Let your voice be heard to make the changes necessary to protect your loved ones. Here is a list of organizations and professionals that are helping immigrants and refugees that you can help support.